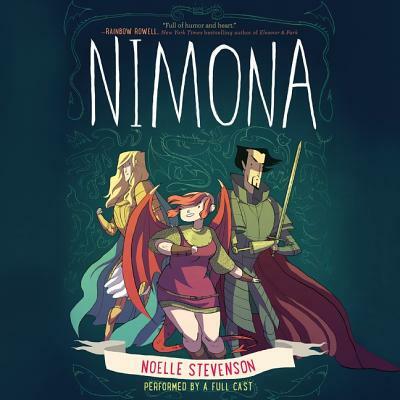 An original full cast audio adaptation of the New York Times bestselling graphic novel sensation from Noelle Stevenson, based on her beloved and critically acclaimed web comic. Nemeses Dragons Science Symbolism All these and more await in this brilliantly subversive, sharply irreverent epic from Noelle Stevenson. Adapted for audio, this brilliant production is perfect for the legions of fans of the web comic and graphic novel, and is sure to win Noelle many new ones. This full cast audio edition is performed by Rebecca Soler, Jonathan Davis, Marc Thompson, January LaVoy, Natalie Gold, Peter Bradbury, and David Pittu, and features original music composed and produced by Loren Toolajian at Sandblast Productions.